Dear friends and truth seekers, since my life has become very public and the subjects I deal with are controversial in this world bedarkened by ignorance I share my credentials (My birth chart) with the public so as to silence the haters of the Holy Science and to offer invincible proof to the world that I am who I say that I am and that I am truly and faithfully carrying out my true calling upon this material/ physical plane as I am on all other planes! Personal attacks do not concern me, as it is none of my business what others think of me. I don’t do popularity contests. In fact I don’t mind being unpopular. I don’t do what I do for any great love for people. I care more for truth than I do for people, and that is evident also in my chart if you know what to look for (hint, look for Venus). I do realise that those who attack me on a personal level do so out of pure jealousy and malice since they have not been allotted a similar favourable chart to carry out such an onerous task, as I am undertaking. Highborn people with equally dignified charts and with honourable character do not need to attack me even if they don’t care for my style. They that think their opinions outweigh truth! They betray their true ignorant nature by their viciousness toward the ways of light. I’m here to silence them so that truth will prevail in all the earth, as you will see, as evidenced in my chart! I DO NOT SUFFER DUNCES! I don’t have certificates or degrees that I can point to, and I don’t need these pieces of paper that I despise. Neither will I offer my own testimony from my own mouth. Even if I offered the testimony of a great friend or brother or mother or sister or King with sworn statements, these are all subject to corruption, prejudice and bribery, for these things are possible to all humans and no one is infallible. What I do offer though is the one and only character witness/ testimony that we all have, the stars that do not lie. Below is my chart: Born in Myrtleford (Little Italy) Victoria Australia on the 24th of March 1963. 4.30 pm. One is the number of the Sun. Born on a Sunday, Leo Ascendant ruled by the Sun. Mars in the 12th house indicates a martial/ action/ warlike past life. Toils, trials, combativeness! customs, and opinions of society. Consequently, they have many bitter enemies. They are always Persecuted by popular opinion and the leaders thereof. But, the Uranian soul does not care for consequences. His dauntless, intrepid spirit acts with perfect independence. Under these circumstances, Uranus always becomes a disturbing force, amid shallow, false or purely artificial conditions of life. This only adds further proof, if that were necessary, that the age is not yet ripe for the full action of this weird and eccentric orb. Upon the Intellectual Plane, Uranus rules the ideal sentiments and the imagination to a very great extent. Those dominated by his influx possess the most extraordinary abilities in special directions. They are real geniuses, whose talents are so strange and erratic that they seldom, if ever, become appreciated. They are inventive, original, acute observers, possessing large perceptive and executive powers, but much given to roaming over the face of the earth; in other words, are Bohemians. Upon the Physical Plane, Uranus tends to make the native an object of comment, and those under his influence are odd in their ways, very eccentric, and stubborn to the last degree. They are strongly argumentative and opinionated. What they say is to the point, and asserted with a startling amount of confidence’. Pluto also in the first house indicates for the native a life of transforming self and others. In astrology the 4 Angles (Ascendant, MC, Descendant and IC, in that order) or the angular/cardinal points are the most powerful and tell more about the native than anything else! They are the most potent and influential areas in any chart. Because of their primary importance the angles are often referred to as the ‘cardinal points’ and they relate directly to the cardinal directions east, south, west and north. 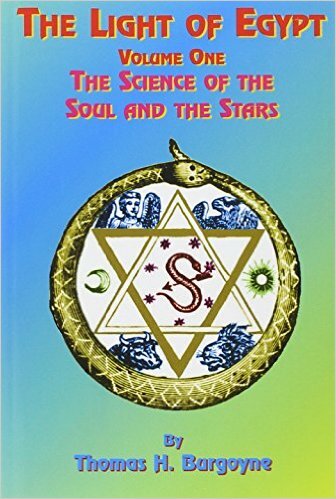 These points are charged with exceptional powers, and the influence they exert on fate is the greatest known to our science, because the celestial circle is totally held in position by them as by eternal supports. Firmicus Maternus Mathesios book five. Many toils and dangers are indicated by the ascendant in Leo, but great fame throughout life. The native will be freeborn, have unlimited power and never use his power for evil; he will secure his possessions by his own efforts, and attain power of command. But the descendant in Aquarius indicates a life of ups and downs; in some cases, there will be popularity and approval. The MC in Gemini indicates an income from public or sacred occupations, but only at the threshold of old age. The native will be a cultivator of the Gods and. religious rites, obeyed by a large number of citizens, a seeker after hidden things, knowledgeable in many skills and systems. In the last age of life he will be pointed out for his upright and correct life. If the IMC is in Sagittarius he will be fortunate and his income will be from his possessions, and many will fawn on him. He will give thanks to the gods for his good fortune and will be entrusted with sacred duties. The prosperity of his children will gladden him; grief for lost children will be lightened by the happiness of more offspring. He will be skilled in all art, learned, and famous for his good fortune. These are my ‘drivers’. They can be likened to the motor and transmission of a motorcar without which it has no use. The chassis and upholstery and other features could be likened to all the other accidental features of the chart, i.e. the planets in their house placements! play a false character all your life to fool people, you can also fool yourself that you are something else but the stars do not lie!